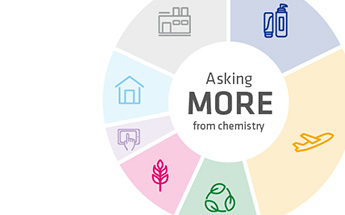 Our strategy is to develop as a multi-specialty chemical solutions-provider that contributes to addressing the world’s challenges by focusing on the innovative sustainable solutions we bring to our customers. We see a lot of opportunities in our challenging and fast-changing environment. We are continuing to execute our transformation to generate stronger growth, more resilience, and greater returns for our shareholders. 2016 has been a strong year of delivery for the Group, in which we met our objectives by achieving key milestones on each of our strategic levers – Portfolio upgrade, Excellence and Synergies, Management Model. Establishing a strong position in segments where we are already active and transforming our portfolio towards more advanced materials and formulations. For several years now, we have been reshaping our portfolio to include more advanced technologies, positioning ourselves as a solution provider to help our customers increase their competitiveness. By transforming the Group into a multi-specialty chemical solutions-provider, with specialties which in 2016 comprised two-thirds of our business, we will make it more global, resilient, sustainable, and innovative. Our transformation also takes account of geographical location: as a global player, Solvay is now balanced in terms of the geographical distribution of its activities. 50% of our businesses are in markets expected to grow at GDPplus. Acquisitions and divestments represent key steps in Solvay’s transformation into a group with a higher growth profile, by enhancing customized solution offerings and reducing cyclical and low-growth businesses exposure. In 2016, the very quick and effective integration of the Cytec businesses strongly contributed to this transformation. In addition, the Group finalized the divestment of its European PVC business, completed the sale of its stake in Solvay Indupa to the Brazilian chemical group Unipar, and signed a definitive agreement to sell its stake in Vinythai to AGC Asahi Glass. The Group also reached an agreement to sell its cellulose acetate tow business. Pursuing functional excellence in order to be at the forefront of our industry, innovating to create new sustainable solutions that focus on return on investment. Our Research & Innovation is at the core of our business. As we transform ourselves into a multi-specialty business, innovation has a capital role to play. 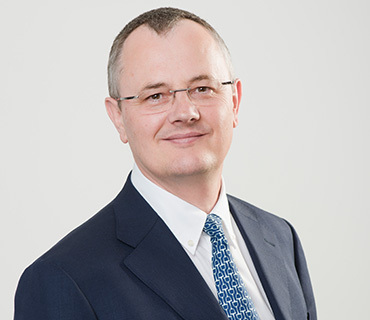 It is crucial to our differentiation and our growth strategy as well as to our understanding of key market players, so that we continue to lead the way in developing pioneering technologies. To innovate more and faster, we have articulated our organization and ways of working to optimize synergies and collaborative projects. The success of the 13-year technological partnership with Solar Impulse showed Solvay’s ability to tackle issues regarding energy saving and lightweighting, in a highly demanding environment, enabling this electrical plane to fly around the globe without fuel. “The way we achieve results” with our four key business pillars, including customer-centricity, collaborative innovation, relentless excellence, and superior Group performance. The integration of Cytec has been a textbook example of blending the cultures and strengths of both organizations, to quickly identify and achieve higher-than-expected synergies. The businesses have now been incorporated seamlessly into our portfolio, and multiple collaborations across all businesses are in the process of developing new innovations that address our customers’ most important industry challenges. 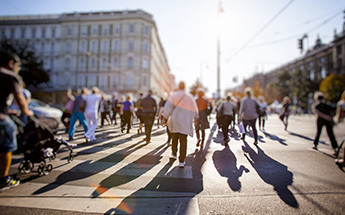 Solvay regularly organizes events called “Tech Days” with customers as well as key prescribers in their industries, who are best positioned to understand the needs of the end consumers and are driving market trends. These events allow Solvay to better understand its customers’ challenges and to raise the visibility of its portfolio of technologies and solutions. 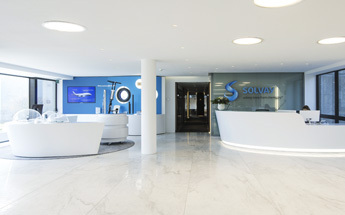 Solvay has set up around 20 Group Tech Days over the last five years, involving leading players in such industries as automotive, aeronautics, oil & gas, agro and coatings. These events – held in Europe, Asia, and the Americas – have had a significant impact for the Group. They have been attended by more than 2,500 representatives of customers and have given rise to tangible business opportunities for the Group (e.g. through joint development agreements). Solvay uses its SPM tool to identify and analyze opportunities that will have a positive impact on its extra-financial objectives. By analyzing the manufacturing steps and all possible product-application combinations, SPM allows us to focus our portfolio, innovation projects, and acquisitions on the most environmentally friendly and socially responsible technologies and businesses. These may be familiar solutions – such as biodegradable products for soaps and shampoos and renewable-based solvents for paints and coatings – or more complex solutions, for example enabling consumers to ultimately reduce their energy consumption or generate less food waste. Solvay’s objective is to achieve at least 50% of the Group sales with “sustainable solutions” by 2025. Solvay has set up a range of initiatives to give guidance to each employee in the Group’s transformation and ensure the development of each individual’s potential. Talent Days are one of these initiatives, a powerful vehicle for managing and developing talents through learning, personal contact, and networking. This two-day event provides participants with an opportunity to boost their career paths by enhancing their visibility and understanding of business challenges. Face-to-face meetings with senior managers and the subsequent feedback help them clarify their aspirations and develop soft skills such as self-awareness, and impact and influence. Feedback shows that Talent Days deliver outcomes in terms of commitment, engagement, and energy from both participants and managers. In 2016, 26 participants and 22 managers took part in the European Talent Days; there were similar numbers in Latin America, while 30 talents and 30 leaders participated in Asia Pacific.